Globally, measures are being taken to reduce the negative impact this industry has on our planet. This short video from the Ellen MacArthur foundation shares new ideas for the future of fashion. The foundation is a collabaration of businesses dedicated to ‘make fashion circular’, you can see what brands are participating here. We can make small changes by changing how we buy and dispose of our clothing. Charity shops stock great clothes, and are increasingly popular in our high streets. By buying our clothes there, or taking the time to drop in our unwanted clothing, we are donating to a good cause and helping the environment by recycling clothes. 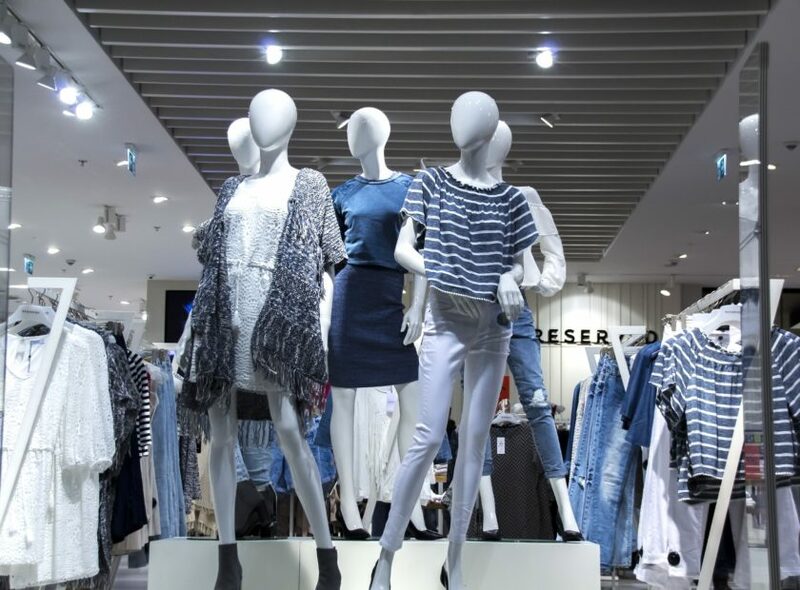 We all like a bit of retail therapy and there are now many stockists of organic clothing that can be recycled at the end of its life. Buying clothes made in countries with renewable energy is another option. ‘Know the Origin’ is an online store that sells Fairtrade organic clothing and details each garment’s origin. 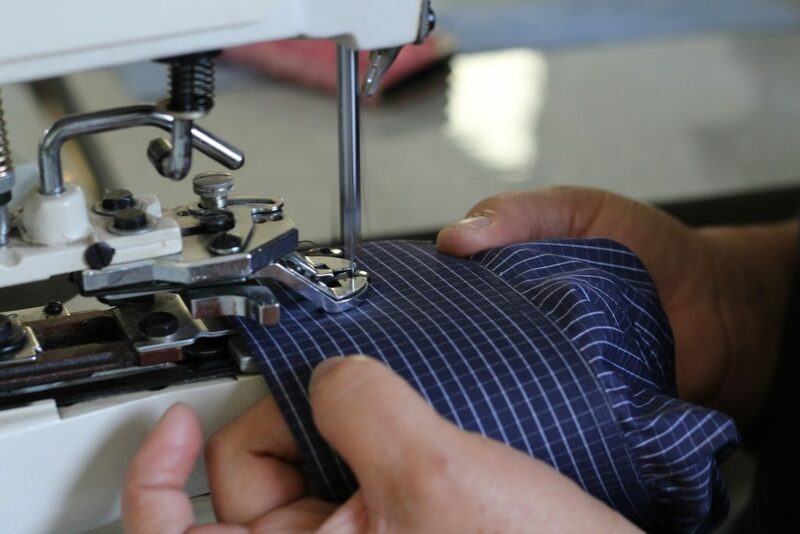 There are various ways to extend the life of our clothing, such as considering the quality before making a purchase and following the washing instructions carefully. Choosing versatile garments that can be part of several outfits and worn repeatedly reduces the need for numerous items. Love Your Clothes has lots of tips on caring for different items of clothing to make them last longer. Instead of throwing damaged clothes in the landfill, we can take them to a dressmaker to be repaired, or we can try and repair them ourselves! Dated clothes can be revamped and upcycled and Pinterest has lots of inspirational ideas of how a garment can be transformed for a unique look. You could also book on to one of our Greener Kirkcaldy’s sewing workshops to learn sewing, repair and upcycling skills. See the events page for upcoming events. A growing trend online is to rent clothing and accessories. Pricing ranges from affordable to high end designer outfits and there are various options for renting. Some websites have a monthly fee option where several garments can be kept for a month, then returned and new ones can be chosen for the next month. This is good for those who like to stay on trend but end up with a wardrobe full of unworn clothes as a result! Swishing.co.uk give credit for unwanted garments, which can then be spent on the website to buy clothes at a reduced price. Alternatively there’s a swap option for clothing so it needn’t cost anything at all for a new outfit, just a rummage around the wardrobe for unworn clothes! If preferred you can take clothes to a recycling centre, for example Fife Council send textiles to a company that hand sorts materials into categories. Clothes that are deemed resusable may be sent to charity partners in Africa, Asia and Eastern Europe, where they are sold by street traders and helping to boost economies. Unusable clothing is sent to a company and made into rags for factories and oil rigs, and some is shredded and used for fillings in mattresses.